How does your character handle a stranger at a bar? Character Development – How do they handle a stranger approaching them at a bar? 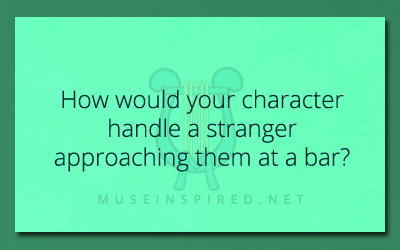 How does your character handle being approached by a stranger at a bar? Character Development - Has your character ever been in love? Character Development - What would your character wear on their first date. Character Development - Has your character ever spent time in the hospital?